Another one of our many services is garbage disposal repair and installation. Is your current unit malfunctioning and you’re not sure why?  Call Residential Plumbing Katy for professional help. One of our mobile technicians can come to your home to take a look at your disposal. After a quick inspection, we will explain the problem to you and work on fixing it. Unless you are experienced with plumbing, you might not know how to install a garbage disposal. 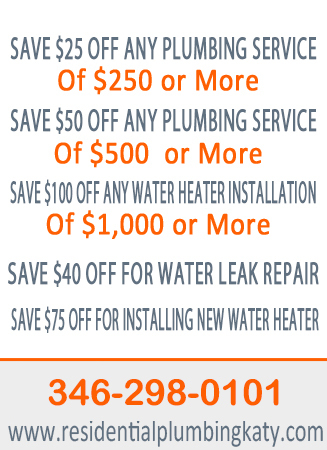 If so, Residential Plumbing Katy Texas can help. Our employees are trained in installation and can have your disposal up and running in no time. Let us know what you need done and we’ll have it ready for you in no time. Do you have a clogged garbage disposal? One of the most common causes of disposal clogging is grease. When grease goes down your drain, it builds up and creates stoppage. As water and soap continue to go down your drain, they cause the fat to harden. This creates a clog that will stop up your drain. Call Residential Plumbing Katy when this happens. We can use our professional-grade snake to cut up and remove any clog you might have. Properly maintaining your garbage disposal can extend its life. Take care of your waste disposal unit by being careful of what you dispose of. Experts recommend staying away from most vegetable peels, bones, and large objects of food. Also, running water while you grind waste is a great way to prevent clogs. The water will help the waste go down smoothly without getting stuck in the drain. Is your garbage disposal leaking? There are a few causes that you should know about. One of the most common causes of a disposal leak is the sink flange. This is the seal that connects your unit with the sink. This seal can weaken over time and cause a leak in your system. If this happens to you, call us to replace your seal and stop your leak.